I’ve been looking back over past photos and I happened upon our Snowman theme day way back in 2010! The girls had so much fun that day. With no snow in Texas (at least where we lived) they enjoyed getting to play with Insta Snow, ice cubes and building their own snowmen! They started the day by playing with the sensory tub I set up for them. 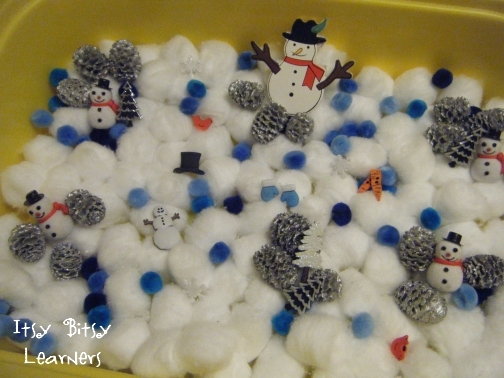 Cotton wool balls, miniture pine cones, carrots and little snowmen! I then gave them paper plates, pre-cut hats and scrap paper. 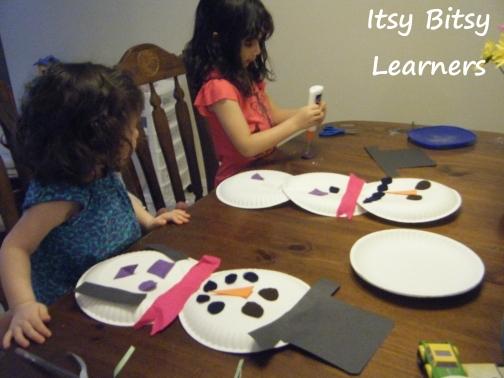 They enjoyed tearing up the paper to make the parts of the snowman. 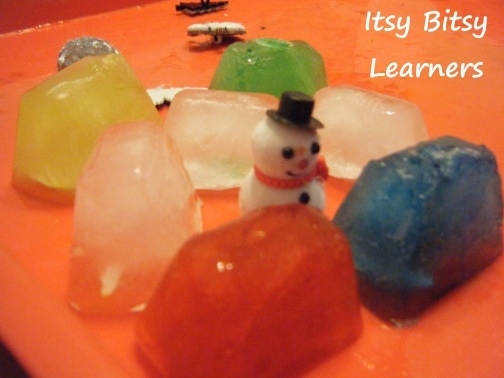 Finally to the end the day they enjoyed making a frozen world for the mini-snowmen with colored ice cubes I had prepared the day before!